Discount retail chain reported its best-ever first quarter early summer trading season, with record sales from garden and outdoor leisure ranges and like-for-like sales up 1.6% across the UK business. The strong start to the year, B&M believes, highlights that its “disruptive value model continues to prove highly attractive to customers”. The business, which also operates the non-food retail chain Jawoll in Germany, as well as Heron Foods in the UK, reported a 21.3% growth in revenue across the group. Its B&M UK business saw revenue grow 8.3% to £648.3million between April 1 and June 30, with LFL growth of +1.6% and +3.6% on an underlying basis, excluding the non-comparable Easter week in the previous year. The 578-strong chain said it is still on track for a gross total of 50 new B&M stores in the UK this year, with four outlets opening in Q1 and the rest of the store-opening programme weighted more towards the second half. 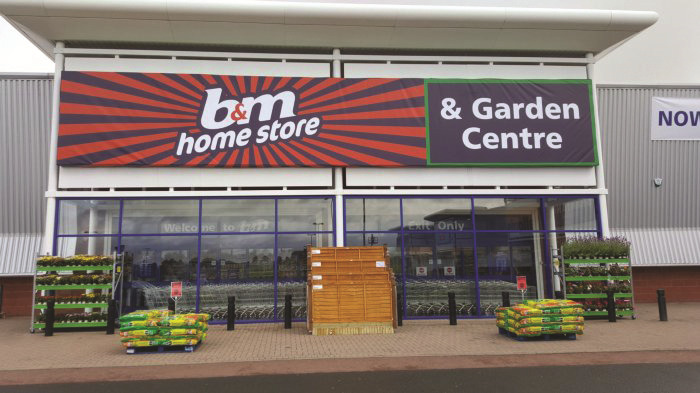 B&M chief executive Simon Arora said of B&M’s results: “The business has performed strongly in the quarter, despite demanding comparables of +7% LFL’s in the previous year and a sluggish market environment. “Our competitively-priced ranges for garden and outdoor Leisure have been very well received and they are achieving great rates of sell-through.